Sadly, the premise of “grade school students taken in as apprentices to Earth’s Mightiest Heroes” is not quite as bonkers as the Pokémon-meets-Marvel premise of the last Avengers anime, but it’s still pretty fun. 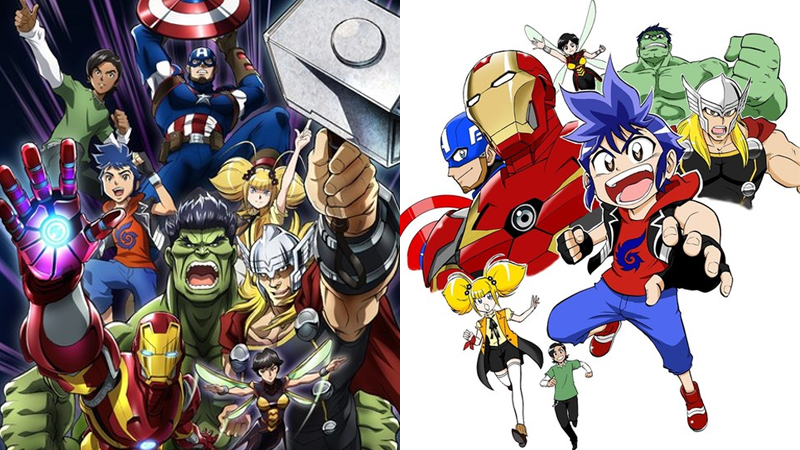 Marvel has announced a brand new anime based on the Avengers will begin airing on Japanese TV later this year. Marvel Future Avengers, which will air on DLife, follows the adventures of a young boy named Makoto who gains superpowers after a sinister experiment gone wrong—as he joins a group of superpowered kids that are learning to be the Marvel Universe’s next team of Avengers by apprenticing under the Earth’s mightiest themselves: Captain America, Thor, Hulk, Iron Man, and The Wasp. Art from Mizuno’s manga adaption. In addition to the animated series, Teruaki Mizuno will draw illustrate a manga accompaniment that will begin in the April issue of Bessatsu Coro Coro Comics Special, which begins shipping in Japan tomorrow, February 28. This is hardly the first time Marvel has brought its characters over to Japanese animation—aside from the aforementioned Toei collaboration on Marvel Disk Wars: The Avengers, there have been plenty of anime takes on everything from the Guardians of the Galaxy to Iron Man. But still, it’s always intriguing to see how these heroes end up getting portrayed for new audiences like this. Like Disk Wars before it, it’s unlikely Future Avengers will make its way out of Japan, but we’ll bring you more on the series as we learn it.